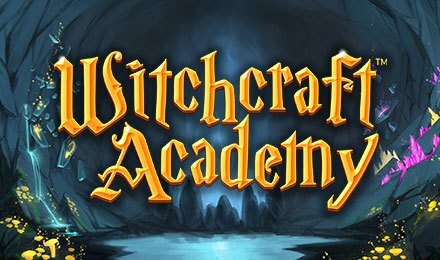 Witchcraft Academy slot is a 5 reels and 20 paylines game by Net Entertainment, taking you to a magical world embedded with amazing graphics, animations and sharp sound effects! Master the most powerful spells that the Wizard and Witch teach you on your journey with them, and use these to trigger amazing wins! The reels are decorated with symbols like: The Wizard, The Witch, Dragons, Owls, Hearts, Spades, Clubs and Diamonds. The plus and minus buttons on the Bet Field allows you to set your stakes and also bet levels which increase your bets. The Bet Max Button allows you to set the highest stakes on the highest payline amount within a click. The aim of the game is to form winning combinations on active paylines with three or more identical symbols. Bet Levels: Set your bet levels from one to ten. Amount of Paylines Selection: All 20 paylines are fixed and cannot be altered. Coin Values: Coin values range from £0.01, £0.02, £0.05, £0.10, £0.20, £0.50 and £1.00. The wild symbol appears only on reels 1, 2, 4 and 5 during the base game and free spins. This symbol replaces all other symbols except for the Scatter and Bonus Spins to help form winning combinations. The scatter symbol is the “BONUS” which triggers the bonus feature of the game! Land three or more scatter symbols to trigger this feature. Choose the Witch or Wizard with which you cast an Element Shot at a random reel. Hit three or more scatter symbols to launch the free spins feature. When the Element Shot hits the Armour Guard symbol, it explodes and hits adjacent symbols horizontally or vertically. Hit a scatter and the corresponding free spins is unlocked. Enjoy Witchcraft Academy slot at Moon Games Casino on your mobile, desktop or tablet and stand the chance to win big with the bonus rounds and features!